In this next article, we are going to have a look at the best of the best fixed blade knives that are out there on the fixed Blade Knife Marker. 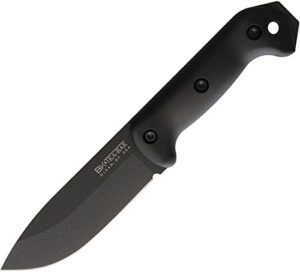 Fixed Knives are the best and greatest when coming to survival and outdoor camping needs. These knives come in all different shapes and sizes. Fixed knives have been around for 100s of years; they are also called survival knives. There are many different pros and cons to owning a knife, and can even be attached to certain rifles, or even be used as a defense mechanism for all police services or military or even people who enjoy the outdoors. We shall focus on the various types of blades that are available and have a close look at their advantages and disadvantages. We shall also look at how one can optimize his or her knife usage based on the blade of the knife he or she owns. Now let’s find the Best fixed blade knife for you! There are several different uses someone could employ a fixed knife for. We will be going over these now, keeping in mind that all these varying uses can all be performed by the same knife or even if you are a collector looking for a new hobby. The fixed types of knives have a lot of advantages and can be used optimally in several days to day activities, as well as in case of emergencies. Having been used for several centuries, these fixed blade knives come in various shapes and sizes depending on the needs and requirements of the owner. Size – Fixed knives are much greater in durability opposed to pocket knives. Fixed knives will be able to achieve more cutting power than most other knife types. These knives are designed to last a long time as well. Being small in size and light in weight, they also advocate high portability. Strength and durability are the key features of a fixed blade type of knife. 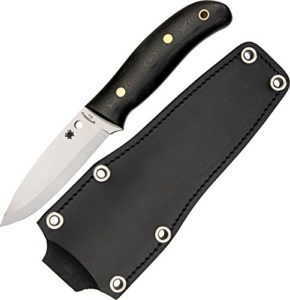 Hunting – Every hunter knows that they need a good, sharp and sturdy knife like Field Dressing Knives. Sure you will be able to take down game with a bow or even a rifle, but your knife will always be by your side in case of any sort of emergency. Whether it be skinning your prize elk or dressing quail, even cutting wood for fires or traps, fixed knives will always render to your every need, no matter how big or small. Camping and Outdoors – Camping and fishing in the outdoors is relaxing and always fun for anyone who enjoys it. Every camper knows to always carry a knife in order to get jobs done in the outdoors, whether it would be cutting rope for the campsite or even cutting fire wood, there are so many more advantages to having a good knife at all times. They can serve as protection equipment against small wild animals and help one feel safe in an adverse situation. We recommend you have the best assisted opening knives when outdoors. What we are going to have a look at next, is a combat style knife designed for all knife lovers. This knife resembles something that a military soldier would carry out on a mission, or during survival training. 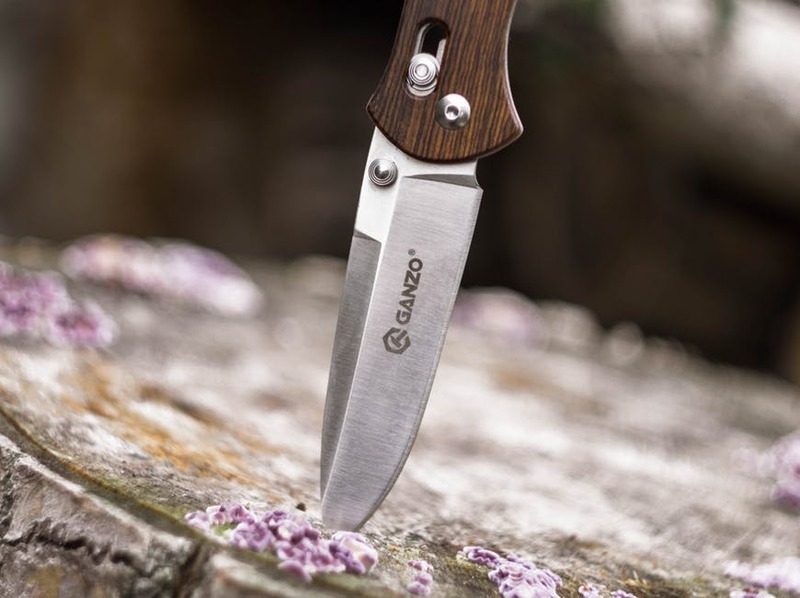 Apart from its fantastic look and quality, it also makes a great companion for anyone who needs a strong, reliable knife in their day to day activities or for the extreme outdoors-men. The Morakniv has such a powerful sounding name. This manufacturer believes in the qualities of strength and durability and the knives manufactured by them definitely do live up to its name. The sandvik Carbon steel blade is made to be extremely durable and powerful. The 4.1 Inch blade will be able to handle any task you throw at it. Its small size and light weight also make it easily portable and facile to put in use in any kind of situation. This type of knife is ideal for all who need a great knife which advocates efficiency. Blade thickness is 2.5mm, giving you that extra penetration needed to achieve the stuff you need to do. The length of the blade is 104mm; this means you are able to pierce much deeper into your target and achieve all the results you need. The weight of the knife is a great feel to it, but is also light in its overall shape and size, making it easy to carry and keep. Weighing in at only 4.1 Ounces, the knife helps to improve your overall knife experience. The military green color of the sheath, and handle makes it look like a real powerful, mechanistic tool. The patterned high friction grip helps the user to achieve the best and safest grip during operation. The sheath also has a great sheath that includes a belt clip for maximum portability. So with all of these advantages, we jump straight to a high quality fixed Blade Knife. The Ka-Bar Becker is a fixed blade knife designed to take a punch. With maximum durability and made from the toughest materials. This proves how this knife will be a great ally to own, for anyone who needs that power and reliability. The Ka-Bar draws its strength from a Drop Point Blade. The shape of this blade draws its strength from using a 20 Degree angle edge, which provides it with the best penetration power and cutting power needed. This blade, as we mentioned before, is made from a tough steel material. The materials used in the manufacturing process specifically are, 1095 Cro-Van steel, to provide the owner with all that hard steel strength that they need. With all of that great power, you will need something to hold onto, in order to safely use all of this. This is not a problem with the Ka-Bar, The handle is made from Grivory material which will improve durability and flexibility and provide the necessary grip needed to get the job done. The blade measures a sporting but compact size of 5.5 inches, and overall the entire knife works well at a total size of 10.5 inches long. 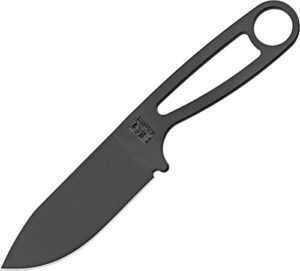 So as you can see, this knife would do well, in a lot of multipurpose situations, and with the quality you need for a great fixed knife, this will be able to assist you and help you to get the job done. This versatile fixed blade knife provides strength, durability, power, and safety, all in one knife. Like we mentioned before, some fixed Knives ultimate purpose of their creation, is survival. These knives were designed to assist someone who may be put in a dangerous situation, or trapped without assistance for some time. 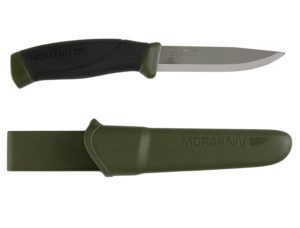 Several people working in the field of medicine, military, camping, hiking, outdoor activities, etc., own these kinds of knives in order to cope up with any sort of emergency or situation that comes their way. 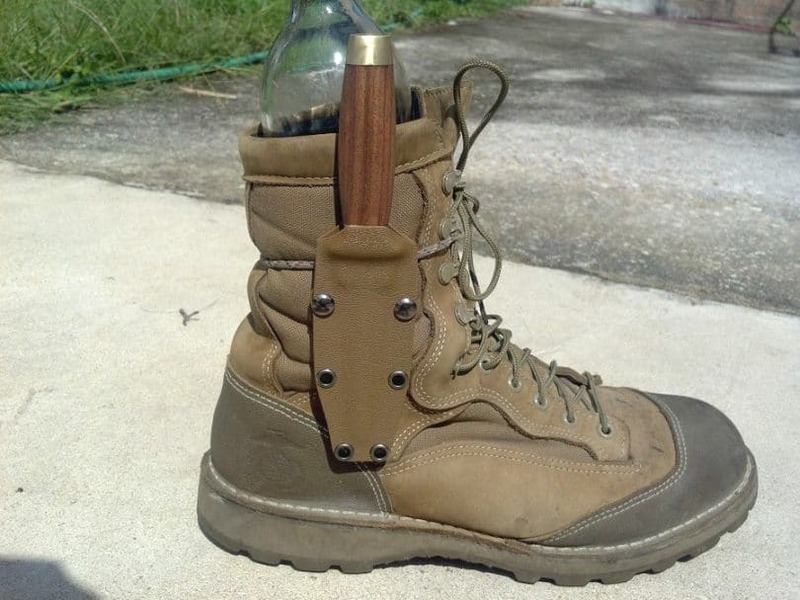 These also make fantastic camping and hunting tools and pretty much cover all of one’s outdoor needs. This is basically the main purpose of the Coyote Brown. Much like the name says, this Fixed knife lives up to its reputation. Being a rugged and versatile survival tool, it is assured to be as great as any man’s tool for the wild and dangerous situation. 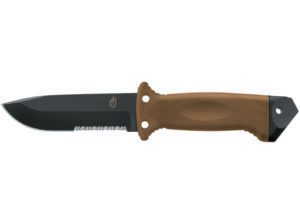 The Coyote Brown also includes a safety knife, to cover all your bases you may need in a survival situation. Furthermore, to prove that it will be able to suit all of your needs, The Coyote has a Low profile sheath to help protect the knife when not in use and also doubles back as a sharpener, the sheath has a built-in knife sharpener, to help maintain the blade’s sharpness. The sheath is also tough as it is made of Ballistic Nylon materials, and is also coated with fire retardant, to ensure maximum safety and reliability. The fire retardant prevents the knife from getting burnt in veld fires. The Handle is also designed in a very clever yet elegant fashion. Made from Glass Filled Nylon, which is then covered in a TPV Overbold, ensuring all your needs is met. The handle provides excellent grip required during activities and also adds on to the style factor of the blade. As far as survival tools are considered, this knife will be a great asset to you and will provide you with all the necessary components you will need in any situation. As you may have seen from us before, we really enjoy and support knives designed by Spyderco. They always have a wide range of different quality knives to choose from and tend to cover all of their user’s needs, as well as provide the best quality needed for all of their customers. The Bush Craft is no exception to this great quality that Spyderco has to offer. The Bush craft is designed by Tactical bush craft expert Chris Clay combe and by the popular bush craft website and Spyderco design teams. With all of this knowledge of knives and bush craft, The G-10 was born. 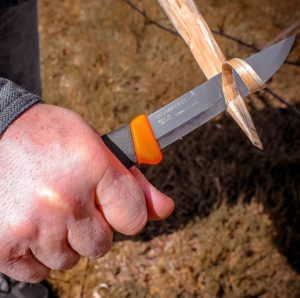 Designed with the professional knife yielder in mind, the bush craft does not have a hand guard. This adds an extra style element to the knife and in simple terms is purely beautiful. The four-inch blade provides anyone with all the cutting power that they need. The knife also includes a Scandinavian grind, to achieve all the pros out of the blade. This extremely versatile knife provides all round strength and efficiency to its users and also works as an excellent collector’s item due to its finesse and elegant style. The High carbon content holds assist the blade to maintain a keen edge over a longer period of time, to provide the best quality and for the owner’s blade to maintain its sharpness much longer. Durability and strength of the knife literally double due to this added feature. This also helps to maintain the quality even when in heavy use. The Bush Graft also includes a sheath to help keep the knife clean and safe. Safety along with extreme disposability makes it an extremely alluring commodity in the knife and tools world. The blade size it 8.75 overall and the weight if the knife is 7.75 ounces. This shows how facile this knife is not only to use but also to carry around with during any time of the day or night, in case one bump into any sort of situation. The handle is also made ultra-durable G-10 Materials, which again adds on to the resistance of the knife. The last fixed knife we are going to take a look at, is a great product, and is also a must have tool for all knife owners, it has everything you will need. And all great round quality and a name brand you can trust, with literature all over the web and great reviews from users alike who enjoy this product. With that made in the USA branding system that we all have grown to love and trust. It is without a doubt that you know you will be receiving the best that a fixed knife has to offer. This knife is also made from some of the toughest materials that exist on the market today. The heavy duty materials that you need, all packed into one great quality product that all survivors, hunters, and campers will need. The Becker Knife design is made with the best quality of products. The 3 and quarter inch blade is Crafted with the finest but most durable 1095 Cro Van Steel. The handle of this fantastic knife is failing short of that great quality either. This knife loves to be a part of the Heavy duty club with even the sheath for the knife made for heavy duty usage. The overall length of the knife is 7 Inches. This all packed into one makes is a fantastic tool for a multitude of uses. And will be a great tool for everyday use and the great out doors.